Before you start deep cleaning anything, you need to declutter your kitchen. First, get rid of anything on the counter that doesn’t belong there (papers, towels, books, etc.). Then, remove all the appliances and so you can clean underneath and around them really well. Decluttering will allow you to clean your kitchen and help it stay that way. When it comes to sinks, they can get nasty pretty fast. 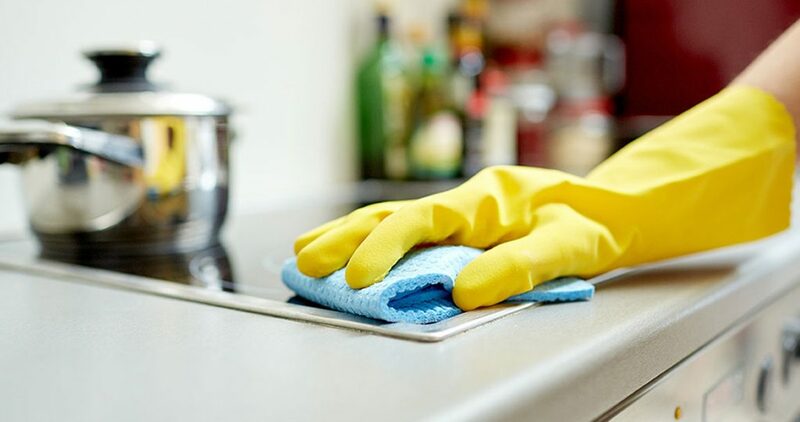 If your kitchen sink is stainless steel, then you can clean it quickly and cheaply by using baking soda. Simply sprinkle the baking soda in the sink, and use a toothbrush to scrub it in and around the sink. Wash, rinse, and dry and the sink should be sparkling like new! Make sure that you work your way down when cleaning the kitchen. Wipe down the cupboards, counters, and drawers before you start sweeping and mopping. If anything falls onto the ground, it will all get cleaned up at once instead of having to do it multiple times. Instead of scrubbing your oven for hours and exhausting yourself, try this instead. Make a paste from baking soda and water and spread it on your oven. Let it sit for a while and then wipe it off. The entire gunk should come right off! If you need a stronger solution, slowly add vinegar to the paste. For your burners, you can clean them with almost no effort on your part. All you need to do is put them in a bag, fill it with ammonia, seal the bag, and then let it sit for a few hours. The chemical reaction will soften all the grime on the burners. When you take them out, you just need to wipe them down and rinse them off. Super easy! A dirty garbage disposal can lead to a stinky kitchen. To clean that think up, put some lemon rinds, ice, and salt down the drain. The ice and salt grind away at the disposal, removing any grime and gunk that may be stuck. The lemon helps sanitize and deodorize the sink. Clean out your fridge by mixing baking soda and hot water. Scrub down the whole inside of the fridge and any drawers that you can pull out. Once it’s cleaned, reorganize the fridge so that everything has a place. You can also put a bowl of baking soda near the back of the fridge to absorb any funky smells. Dishwashers can build up lots of grime and nasty residue. Cleaning it by hand can be a hassle, but an easy way to clean it is by putting some lemon Kool-Aid in the soap dispenser. Let it run and the acid in the lemon mix will eat away at any lime or other buildup. Getting stuck on food out of pots and pans can be a nightmare. To make the process easier, take a dryer sheet and put it in a pan filled with warm water. Let the pan sit overnight and, when you got to clean it in the morning, the gunk should come right off! 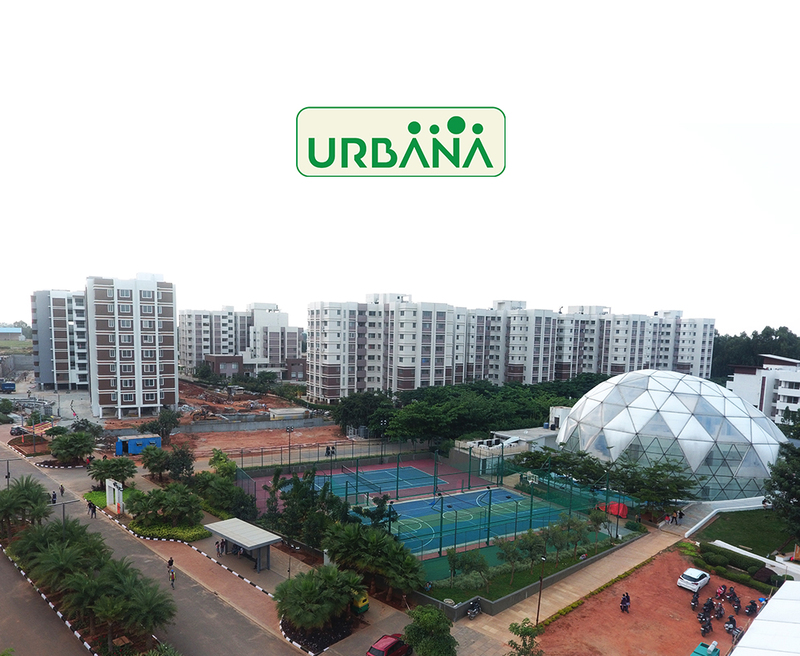 What Makes Perumbakkam The Hot New Residential Destination in Chennai?